Tips and answers to the most frequently asked questions. 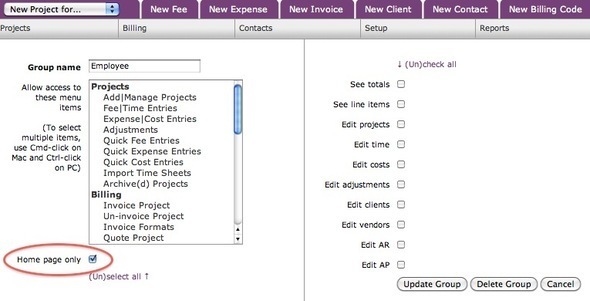 Saving and exporting Creative Billing reports to third party apps like Excel and Numbers? 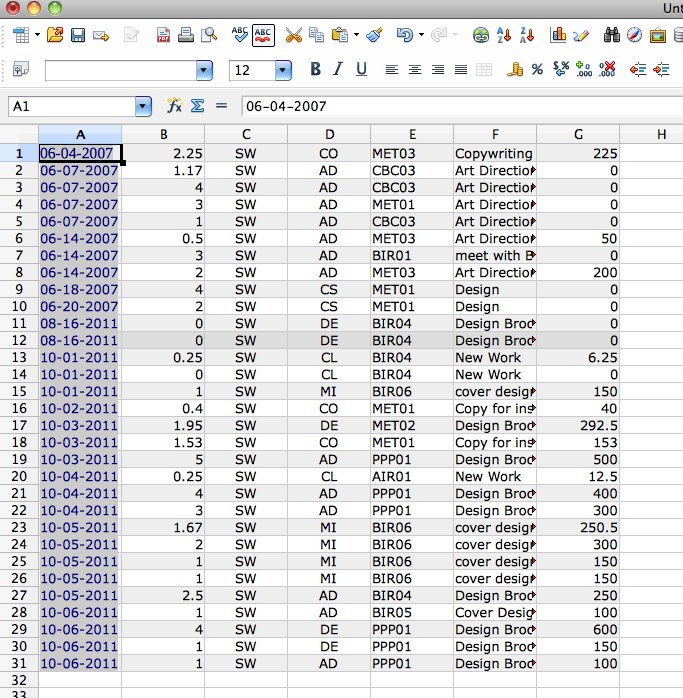 Save the data as a spread sheet file and you're done! 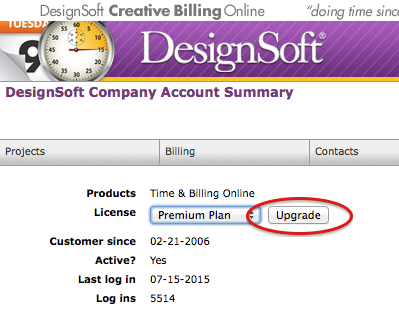 How do I update my credit card information for Creative Billing Online? The Upgrade Button takes you to a window where you can enter your new credit card information. Enter your new credit card info and expiration date and click the Upgrade Button. A void charge will be sent to validate your card and the new card will be used for the following months. 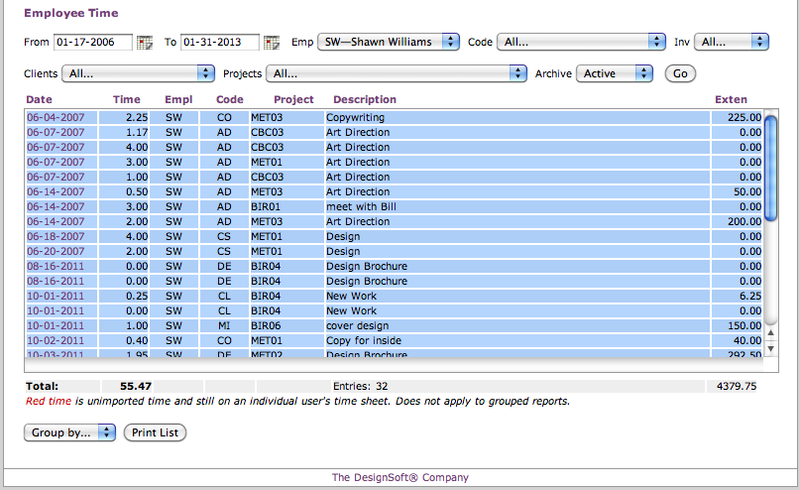 How do I Give my employees various levels of site access? 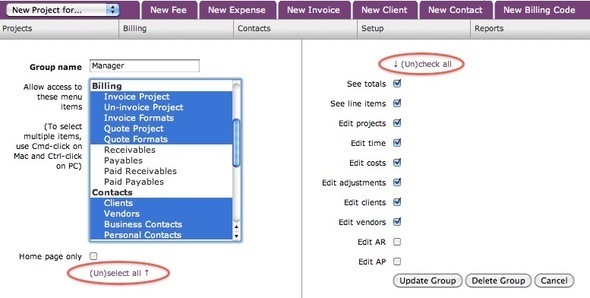 DesignSoft Creative Billing gives you full control over your user's ability to see and/or edit any window in the software. 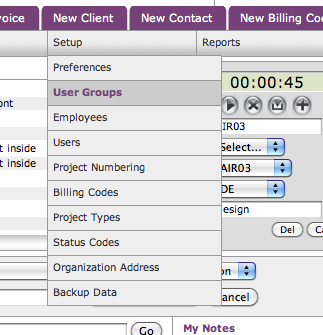 From the most basic home page only access to administrator level access that allows the user full read and write access on any window, the user groups settings tell the system what you want the system to allow. We strongly suggest that you do not give every user admin access and that you reserve that level for the office manager, principle or owner of the company only. If you are the account holder never ever give yourself any level of access lower than administrator! 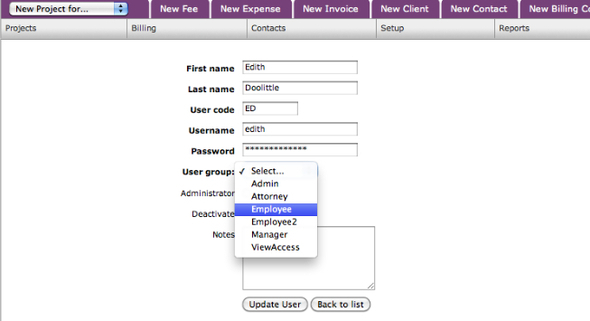 Here is an overview of how to set those levels of access for your employee users. 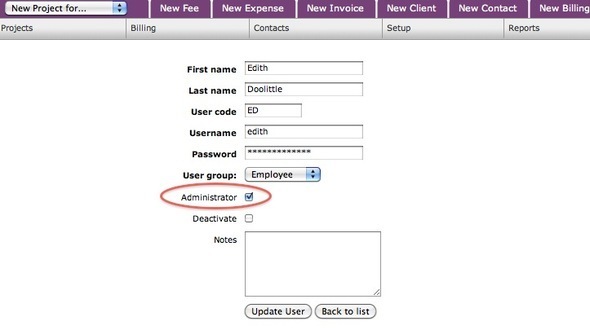 NOTE: The account holder must always have Administrator level access! 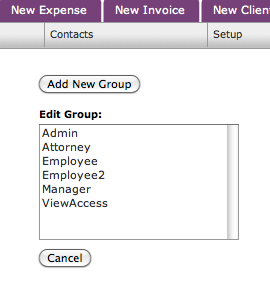 After you are finished give the group a name and assign it to any user.